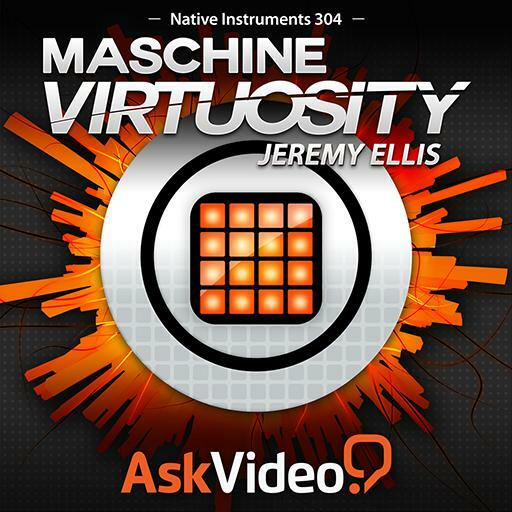 Jeremy Ellis is a world renowned finger drummer, keyboardist, Maschine expert and educator. 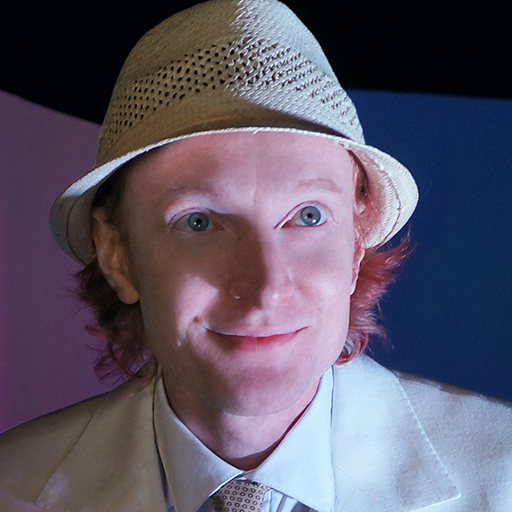 He shares his amazing wizardry, vast knowledge and unmatched performance skills in his first ever full-length course created exclusively for our members! Always embracing technology, Jeremy Ellis is the embodiment of music. Able to perform on samplers as though he's playing on his first instrument: the piano, his virtuosity has landed him an endorsement from Native Instruments to demonstrate and evangelize what is now his main instrument: Maschine. As an innovator on all drum machines and a skilled eclectic musician, Jeremy earned his way onto the world stage with other heavy-hitting talent such as ?uestLove (in the hip-hop artist's production of Shuffle Culture at the Brooklyn Academy of Music). He also gained recognition from the famed Red Bull who, with Ellis' input, developed the first ever drum pad "battle" competing with other famed button pushers. This partnership brought Jeremy to the SONAR stage with the soulful Jamie Lidell, scratch champion, DJ Shiftee, and sound advancer, Tim Exile. They joined forces with their own respective Native Instruments’ tools to form a new band of electro-heads known as Mostly Robot. The videos he created with NI (including one released in the fall with over a million views) have accelerated Jeremy’s online presence landing him over 7 million views and reaching almost 15,000 subscribers to his personal channel. We are pleased to introduce Jeremy –a classically trained and future-thinking wizard– and are proud to have him as part of our educational team sharing his knowledge of the basics of finger-drumming exclusively with our members! Welcome Jeremy! Once again, Jeremy is completely awesome in making this a fun, inspiring, and interesting course. Love it!! Awesome, awesome, awesome! Nirvana is within reach!! Thanks Jeremy for making a very complicated, technical masterpiece manageable. Excellent course, I highly recommend it. Its packed with information at a proper pace, moreover Mr. Ellis has a good attitude. While I don't intend to use all ideas as presented (my Ableton Push is going to handle hi-hats in repeat mode) there is much to take away from this course. Great course, I don't own Maschine but its impressive to watch somebody so highly skilled at playing this instrument. I'm looking forward to his second course. Great stuff! Learned a lot! It will probably take me a few years before I master this kind of ''finger work flow'' but this course really inspired me to start practicing! Cheers! 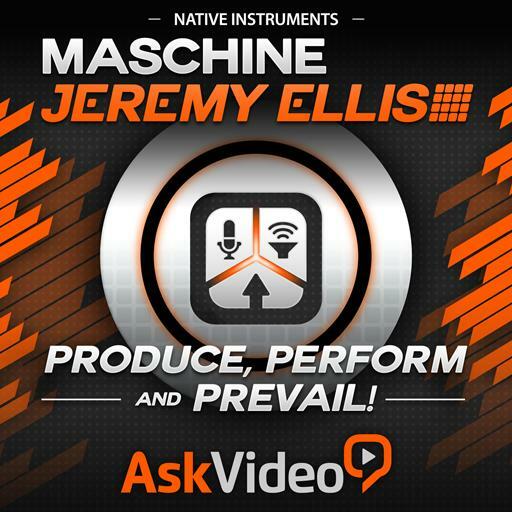 Maschine Studio: Produce and Perform with Jeremy Ellis is a great practical course for improving your skills as a live electronic performer! All of Jeremy's courses here on MPV are great, some of the most valuable to me so far in my music production workflows. I highly recommend anyone using a pad controller to watch his tutorials, especially for Maschine users. This is what i really love: good explanations and demonstrations. Funny and super cool presenter. This course makes really fun to watch and also to learn more and get practicing. :) Thumbs up!!!!! Excellent. This is one of the best video/course of Maschine i have ever seen. Really detail break down of Jeremy Ellis Routine. Useful information is schon next to the actual recording - and is really helpful. Also Jeremy speaks really good with lots of real impressions and bridges from topic to topic. This is really a long video. I highly recommend it watching it not at once. It is too much content and I got tired. Other then that absolute recommendation also for non Maschine users! Not my cup of tea, but Jeremy Ellis made sipping worth while. Old concepts applied to todays technology, I'm one to always keep an open mind. Jeremy, because of your tape I bought the Maschine Studio. I'm a concert pianist and have quick fingers, nonetheless the routine is challenging. :) Thank you for being such a true artist with great personality and teaching skills. I'm delighted to take this to the next level.